Werner Holzwarth, Hans. Koons. Slovakia: Taschen, 2015, p. 30. Blissett, Luther. “Les obsessions majeures de Koons.” Beaux Arts editions, December 2014, p. 28. Champion, Julie and Nicolas Liucci-Goutnikov. Jeff Koons: La Retrospective: The Portfolio of the Exhibition. France: Centre Pompidou, 2014, p. 49. Koons, Jeff & Norman Rosenthal. Jeff Koons: Conversations with Norman Rosenthal. China: Thames & Hudson, 2014, p. 115 [English Edition]. Koons, Jeff and Norman Rosenthal. Jeff Koons: Entretiens avec Norman Rosenthal. Hove, England: Thames & Hudson, 2014, p. 115 [French Edition]. Rothkopf, Scott, ed. Jeff Koons: A Retrospective. New York: The Whitney Museum of American Art, 2014, p. 67, 73, illustrated in color (edition 2). Bouvier, Raphaël. Jeff Koons - Der Künstler als Täufer. Germany: Wilhelm Fink Verlag, München, 2012. p. 248 (pl. 10), illustrated in b&w. Galerie Jerome de Noirmont. Jeff Koons: Popeye Sculpture. Exh. cat., Paris, 2010, p. 9, illustrated (installation view, Stedelijk Museum, Amsterdam). Holzwarth, Hans Werner, ed. Jeff Koons. Cologne, 2008, p. 145, 577 (installation view), illustrated in color. Kastner, Jeffrey. "Jeff Koons: Museum of Contemporary Art." Artforum, May 2008, p. 168, illustrated in color. Neue National Galerie. Jeff Koons: Celebration. Exh. cat., Berlin, 2008, p. 45 (fig. 9), illustrated in color. Walsh, Daniella. “Jeff Koons: On Track.” Art & Living, Summer 2007 (issue 7), p. 44, illustrated in color. Bankowsky, Jack. “East Village, USA: New Museum of Contemporary Art, New York.” Artforum, April 2006, p. 179 (installation view, New Museum, New York, 1985). Canarutto, Sarah Cosulich. Jeff Koons (Supercontemporanea series). Milan, 2006, p. 38-39, illustrated in color. Museo Archeologico Nazionale. Jeff Koons. Exh. cat., Naples, Italy, 2003, p. 35, illustrated in color (partial installation view, International with Monument Gallery, New York, 1985). Smith, Elizabeth. Life, Death, Love, Hate, Pleasure, Pain: Selected Works from the MCA Collection. Chicago: Museum of Contemporary Art, Chicago, 2003, p. 6, illustrated in color and p. 168, illustrated in color (edition 2). Hamburger Kunsthalle. 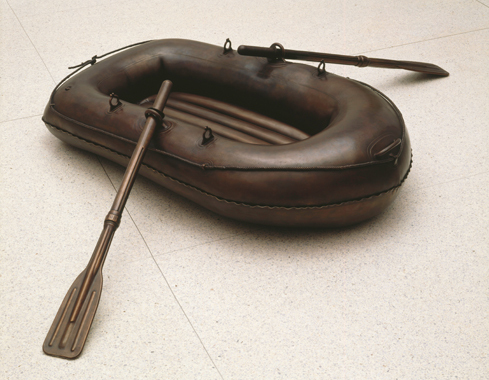 Family Values: American Art in the Eighties and Nineties: The Scharpff Collection at the Hamburger Kunsthalle. Exh. cat., Hamburg, Germany, 1996, p. 46 (detail), 47, 49 (installation), illustrated in color (edition 1). Koons, Jeff. The Jeff Koons Handbook. Anthony d'Offay Gallery, London 1992, p. 154 (listed). Muthesius, Angelika, ed. Jeff Koons. 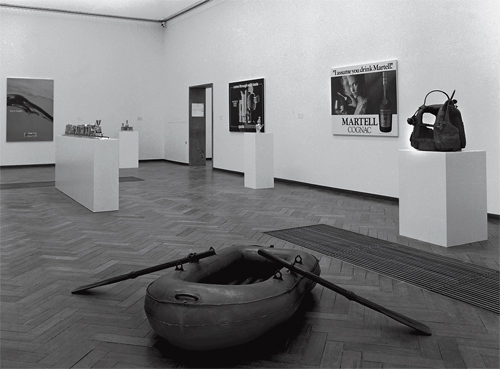 Cologne 1992, p. 57 (partial installation view, International with Monument Gallery, New York, 1985, partial view), 64-65 (installation view, International with Monument Gallery, New York, 1985) and p. 65 (fig. 17), illustrated in color. Siegel, Jeanne. "Jeff Koons: Unachievable States of Being." Arts Magazine (vol. 61), October 1986, p. 71, illustrated in color. Saltz, Jerry, Roberta Smith and Peter Halley. Beyond Boundaries: New York’s New Art. New York, 1986, p. 4, illustrated in color (installation view, International with Monument Gallery, New York, 1985).